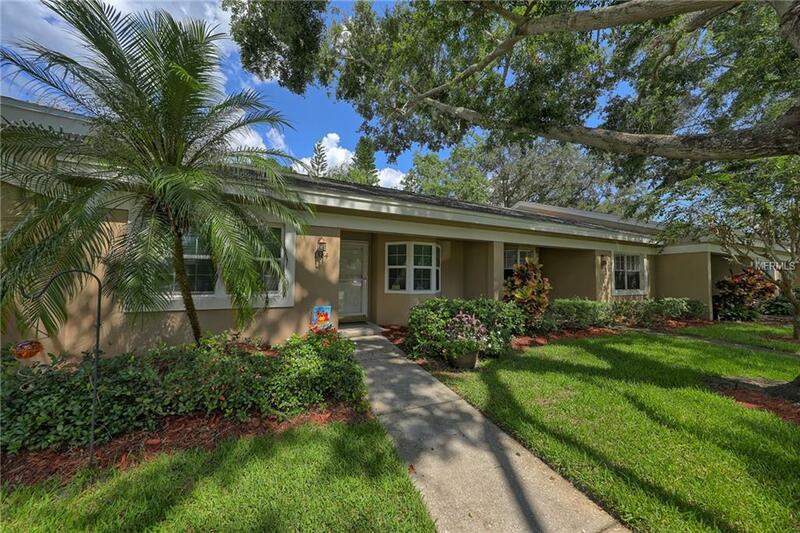 Safety Harbor-Affordable & adorable 2BR Garden Villa/condo with 1.5BA, 2 assigned parking spaces and 2 PETS ALLOWED! This unit has been remodeled and freshly painted with neutral & stylish colors. Updates include new tile, tub, toilet, vanities, lights, & mirrors. Kitchen has new refrigerator and newer dishwasher. Roof & A/C replaced in 2011; windows and storm door replaced in 2015. Inside laundry room accommodates a full size washer & dryer. Living/Dining Room has new ceiling fan/light in kits installed & new light fixtures in Kitchen & hall. All new carpet & baseboards. Large walk-in closet off Master Bedroom. The enclosed back porch offers closet also for extra storage. Backyard has patio for outdoor entertaining. Community features lush landscaping and swimming pool. Close to Phillippe Park, famous Safety Harbor spa, & downtown Safety Harbor with shops and restaurants. Low maintenance fees ($142/mo.) because this is a Planned Urban Development. INVESTORS - Great income potential as monthly rentals allowed. Great for home or investor. Move-in ready - just waiting for you! Additional Lease Restrictions 1 Month Minimum Lease.